We're back from church and all cozy at home now. The winter weather advisory from this weekend has passed and now it's just ridiculously cold. Prior to the blizzard weather, we have been blessed with some pleasant temps and sunshine. 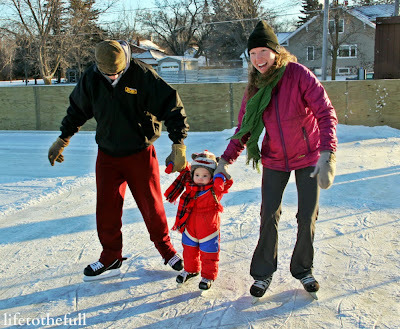 E got to play outside and he tried out his hockey skates for the first time on New Year's Day! I love making family memories like this! E's first skate at 22 months old! The next day I took our dog out for a 4-miler. The cold weather and our lack of playing outside has him a bit down in the dumps. A run cheers everyone up. 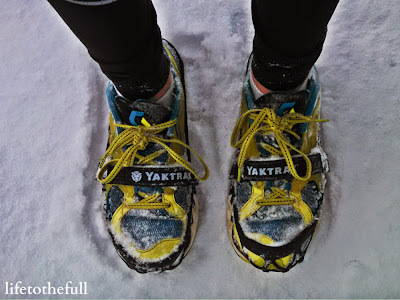 These Yaktrax are the best invention ever for any of you cold weather-dwellers. It was very snowy and icy on our run. I definitely would have opted for the treadmill if I didn't have these Yaktrax! This is my second winter using them and I haven't slipped yet. Staying active in the second trimester has been good to me so far and helps so much with pregnancy energy levels and handling discomforts. Alternating running and strength training days is the perfect balance for me and I am focusing on working at a lower intensity this pregnancy. My goal is to continue with this routine of running for 30 minutes four days a week at a comfortable pace with two days of strength training mixed in. If the week doesn't go as planned, it's not the end of the world. Each week is a new beginning! In Kara Goucher's book, Running for Women, Goucher's ob-gyn, Robin Barret, MD, offers tips for running in the second trimester. 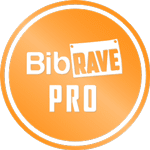 Dr. Barret happens to be an avid runner and marathoner herself in Portland, Oregon. Keep Running. Running doesn't cause preterm labor! By the end of the 2nd trimester, you will probably need to decrease your weekly mileage and pace. Bladder pressure - Empty your bladder before starting your run and pick routes with bathrooms or good ground cover! Pelvic pressure/discomfort - You may need to alternate running and walking. You may also need to start using more low-impact equipment - elliptical, bike - or swim. Contractions - See tips for pelvic pressure. Call your provider if contractions don't stop or you have any bleeding. And now for another pregnancy update! Baby's Size: Sweet Potato, average fetus size: 5.6 in, 6.7 oz. Cravings: Breakfast food, especially dipping eggs and toast. And cheesy popcorn! Eating: My appetite definitely increased at 17 weeks and is about the same this week. I'm Feeling: Baby is usually sitting pretty low and is very active whenever I sit down. Now and then he/she slides up to jab me in the ribs, too :) Nothing painful at this point, it's more so just fun to feel baby moving. I'm excited as our first ultrasound date is coming up in two weeks! Sleep: I've been sleeping like a rock lately, aside from being up once a night for a bathroom break. My Prayer for Baby: "Father, thank You for the time we have had together as a family this week and for our growing toddler and Baby #2! I pray that You guide their development and lead them towards a personal relationship with You. This week I am praying for our family to grow in love, joy, peace and patience and I pray that we grow closer and closer to You, as we aren't able to bear any fruit apart from You! Amen." Monday: 3.02 miles on the treadmill, 9:56/mile. Saturday: 3.01 treadmill miles, 9:57/mile. What winter activities do you enjoy as a family? Do you have any tips to add for fitness in the second trimester? Linking up at Mommy Moments, the Fit Dish and Fitness Friday. View more tips for running in the first trimester. Incorporate family or Eli as much as you desire in workouts. Talk to him about whatever. Make it a time where he can see you being healthy and that he has a sibling coming. Susanna was great with yoga. It helped her to see Mama's body differently. We're slowly getting into a family of four workout routine. I hope both girls will join, but this morning (at 5 am) it was just E and me. Great advice, Wendy! E usually joins me for strength training days and he has his own approach to doing burpees and push-ups. His interpretations are pretty interesting! look at you! Super cute! I am glad you are keeping active You will be hugging yourself later :) cute pics! Great post, Amy! You are one amazing pregnant woman! Keep it up! 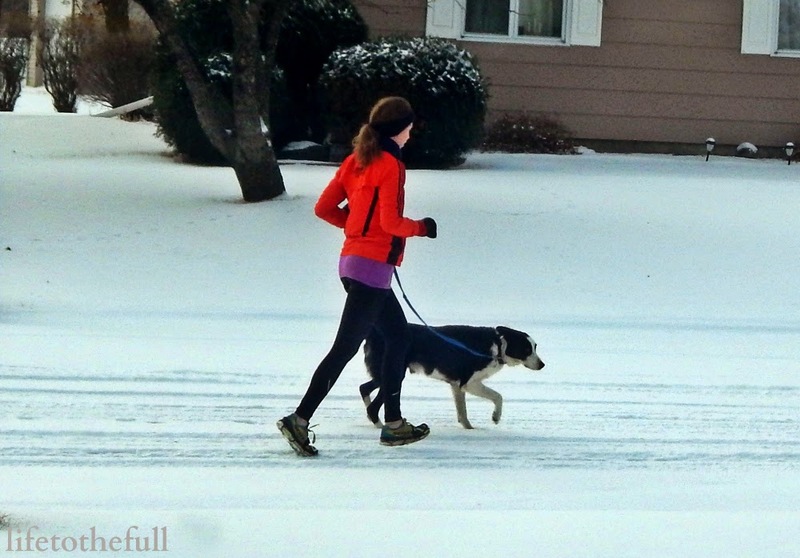 Those Yaktrax look awesome, and I love that you run with your dog. And, your son on skates is amazing. Such a precious moment. I had no idea kids could be on skates that early. Right on. Thanks for all the inspiration! Take care! Thank you for the encouragement, Jessica! Thanks for hosting the #FitDish linkup. It's been fun to join up with you! What a cute family pic of you guys ice skating! 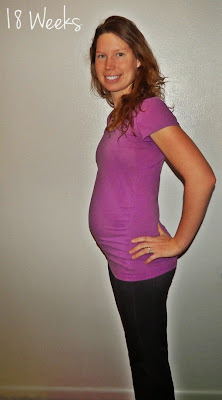 :) Great job on staying active during your pregnancy! Love the yaktrax! I got something similar called snowtrax and hope they work just as well. Those yaktrax are so handy, pregnant or not! I hope your snowtrax do the trick - it sure beats slipping on the winter ice! Haha yeah the third trimester is a bit more rough than the second, for sure! I just remember a lot more bathroom breaks while I tried to run/waddle on the treadmill in my 3rd trimester.